Commercial boilers are used extensively across the country for heating. They are pressurized systems that run on combustible fuel such as gas or oil, or else use electricity to heat water. Some boilers use the hot water itself to provide heat; other models use steam vapor. The boilers have burners or electric coils that generate heat, which is transferred to water by means of a heat exchanger — which in turn creates steam or hot water. The steam or hot water is circulated through pipes, entering radiators that disperse heating. It’s a fairly simple, straightforward means of heating, but also one that has some inherent dangers. Anyone who works on boilers or any pressurized system should be well drilled in how to safely install, maintain, or repair them. Boilers have been around for a long time — ever since the Industrial Revolution, in fact. Fortunately, technology has come a long way since those first, dangerous contraptions were constructed to provide a crude, unrefined form of power. The design of boilers has improved markedly, while testing is well regulated to prevent the types of catastrophes that once were common in industrial settings. Manufacturers must adhere to strict safety standards provided in NFPA 85, Boiler and Combustion Systems Hazards Code, and NFPA 86 Standard for Ovens and Furnaces. Nevertheless, a good many aged boilers are still in service and can be the source of accidents. In an ideal world everyone would maintain their boilers according to regulations, and when it’s time to replace parts and equipment, business owners would do so in a timely manner. The fact is, preventative maintenance is often delayed, as is system replacement, until an accident occurs. Many states nowadays require commercial boiler inspections and will issue certificates of operation from one to three years. If you have employees who are expected to work on a boiler, you will need to ensure they have a good understanding of what these inspections look for to ensure boilers are operating safely and efficiently. To do that, have your employees attend regular trainings to keep them up on the latest in safety regulations, as well as refresher courses on thermodynamics, efficient operation of boilers, waste stream pollution, hydronic systems, and exhaust stack (flue) emissions. Good maintenance can help ensure that a commercial or industrial boiler lasts 25 years or more. Good maintenance can counteract deterioration and serious accidents that might lead to injury or extensive property damage. Your employees will likely be working on one or more of three types of boilers: water tube, fire tube, or cast iron sectional. There are a couple of other types, but they have less share of the market than the main three. Most likely, any training you select for your employees should deal with safety and maintenance for the main three types. Your employees will also need training in codes and standards, involving such topics as ASME (American Society of Mechanical Engineers) boiler and pressure, vessel code, safety valves, pressure gauge, hydrostatic testing, boiler classification, and hydrostatic testing. Learning about fuels and fuel-burning equipment, along with solid and fossil combustion systems, ventilation, and fuel trains will also be helpful for your employees. Combustion theory and tuning controls instruction are also essential to an operator or technician’s training, and should include topics such as gas and oil pressure switches, firing-rate control, selector switches, condensate receiver, burner on/off switch, and fuel selector switch, to name a few. Concerning emissions look for trainings that include information on the Clean Air Act, deposition control, and National Ambient Air Quality Standards. Water treatment topics might include topics such as condensate corrosion, pH scale, silica, oil contamination and basic impurities, and boiler blowdown. As you research trainings for employees, look for those taught by experienced, certified professionals with extensive history in maintaining boiler safety and efficiency. 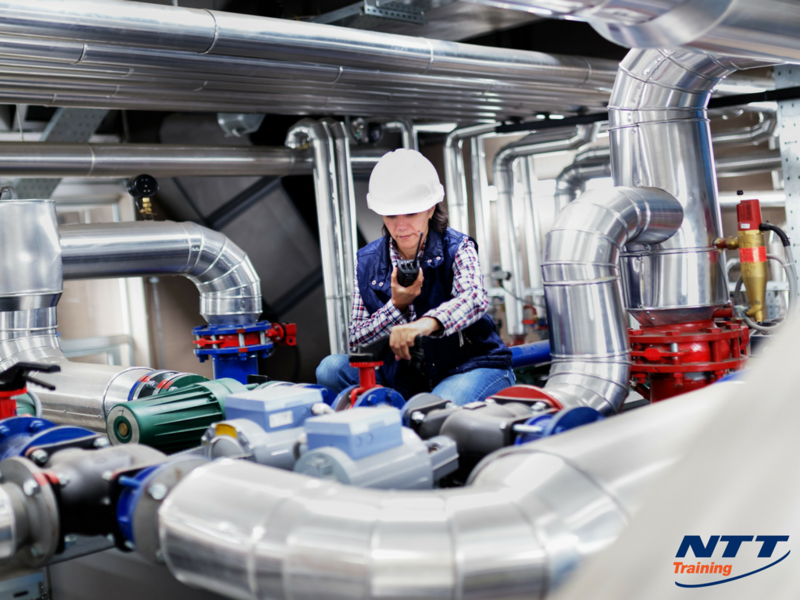 NTT Training’s three-day seminar on Boilers: Technical and Operational Training could be just what your operational team needs to improve safety and efficiency at your work site. Call NTT Training today for more information.